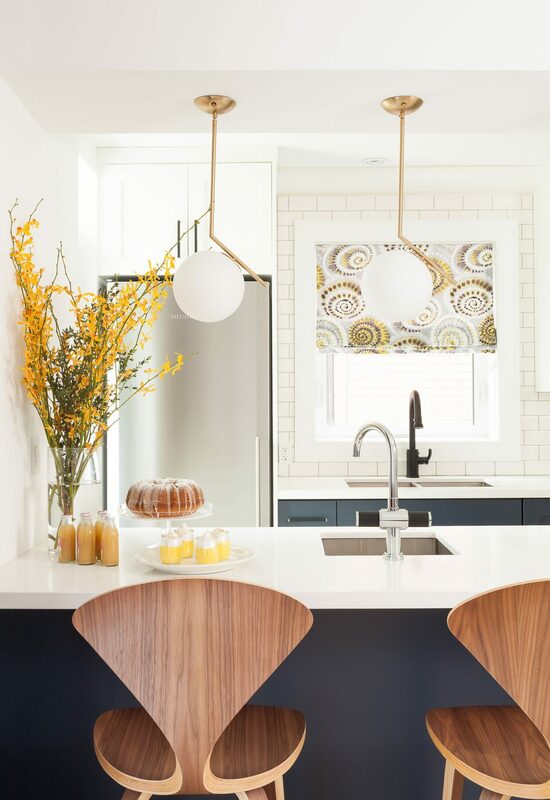 A Roman blind with bursts of yellow, along with brass pendant lighting give the kitchen its sunshiny disposition. 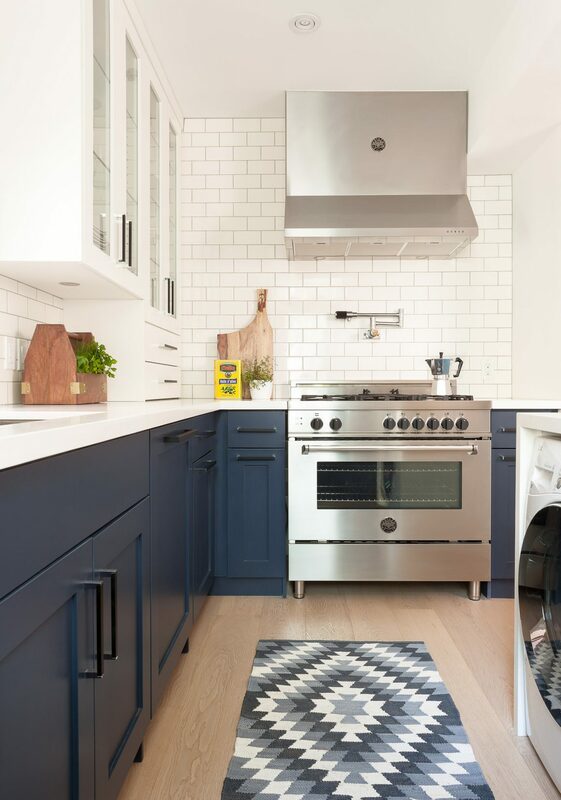 These elements contrast with the navy blue cabinetry. Light fixtures: FLOS Lighting’s IC series. 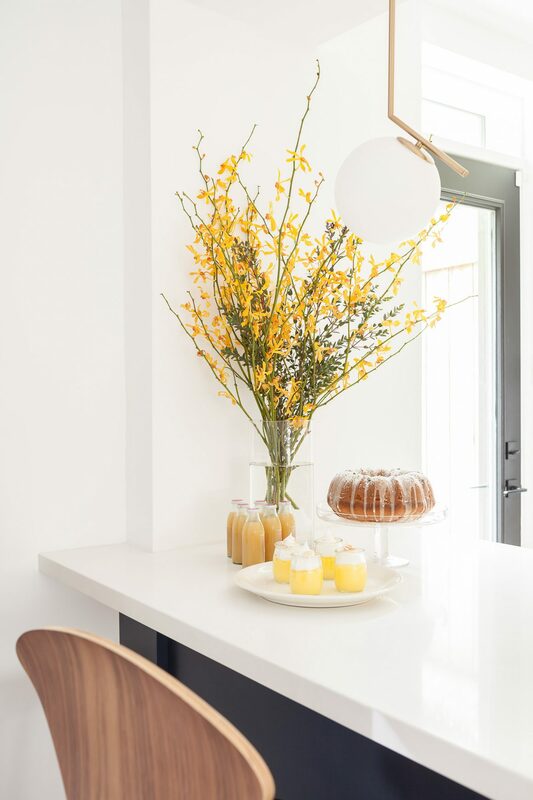 A small kitchencan be made to feel spacious, bright and sophisticated with the right choices, as interior designer Barbara Milner recently proved in her own house. She was drawn to the modest home in the Casa Loma neighbourhood because its treed yard makes it feel like a cozy cottage in the city. 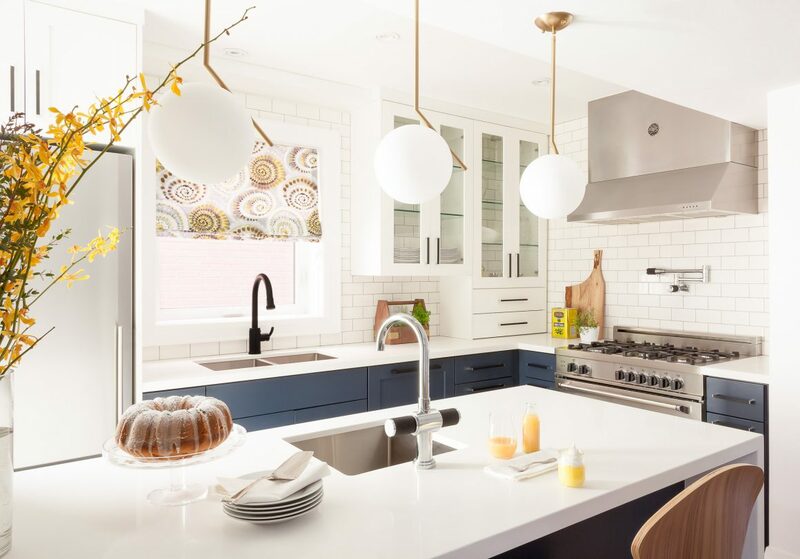 While respecting the home’s traditional character, Barbara introduced contemporary twists to open and lighten the 11-by-nine-foot kitchen space. 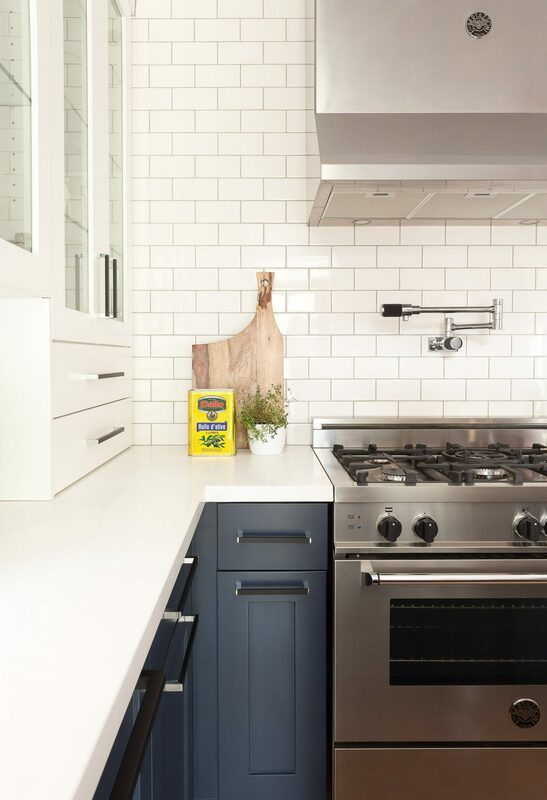 The designer/homeowner made her must-have gas range the kitchen’s pièce de résistance by showcasing it along with its hood and a pot-filler against plain and practical white subway tiles. Range: Bertazzoni five-burner gas range (Master Series, MAS365GASXE); refrigerator: Liebherr. A sleek fridge complements the stove, while the dishwasher is panelled to prevent a look of choppiness. Barbara also tucked a ventless washer-dryer under the island so she wouldn’t have to head for the basement laundry room. 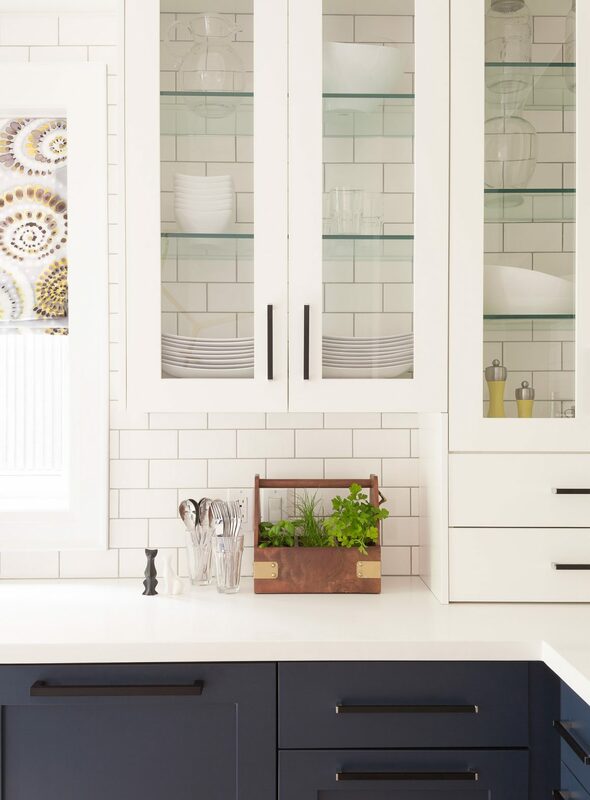 White subway tiles on the walls and quartz counters make this small kitchen feel bright and airy. 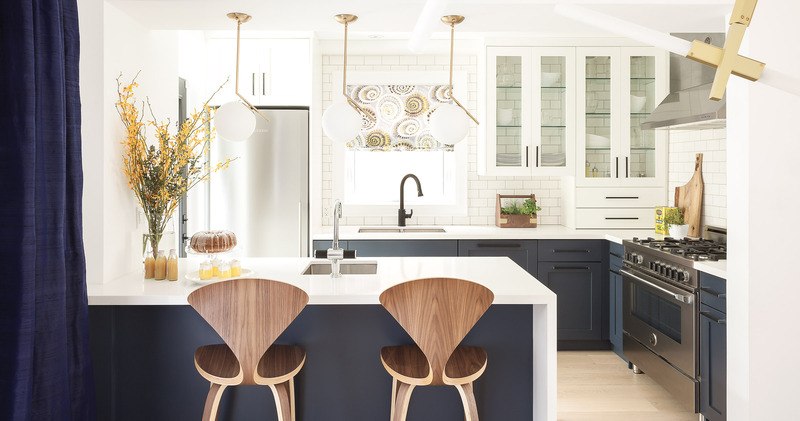 Stools: Olsen by Jofran; lower cabinets’ colour: Benjamin Moore’s Hale Navy (HC-154). ; faucets and pot-filler: Rubinet H20 series; cabinetry pulls: Richelieu Hardware; sinks: Gemini. 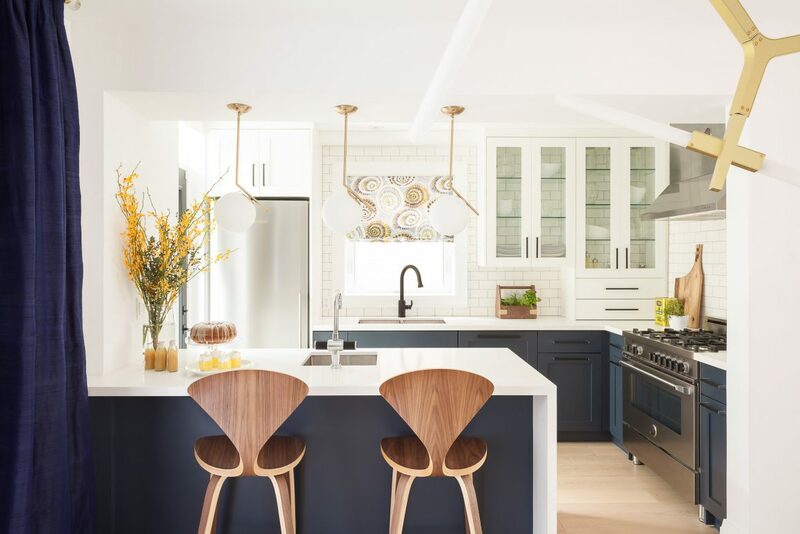 By allowing the walls’ subway tiles to shine through the glass-fronted upper cabinetry, the designer added an element of interest that pays tribute to yesteryear while making the space feel as open as possible.